A group of activists led by Ralph Nader is calling on Attorney General Jeff Sessions to create an annual corporate crime database and annual report. “For street crime, the FBI oversees the Uniform Crime Reporting (UCR) Program, which tracks data from over 18,000 local and state law enforcement agencies,” Nader and his colleagues wrote in a letter to Sessions. In addition to Nader, the letter was also signed by Public Citizen President Robert Weissman, University of Maryland Law School Professor Rena Steinzor, Good Jobs First Executive Director Greg LeRoy, Philip Mattera of the Corporate Research Project, University of San Diego School of Law Professor Robert Fellmeth, Charlie Cray of Greenpeace and John Richard of Essential Information. “We are aware of the letter and will be reviewing it,” said Justice Department spokesperson Wyn Hornbuckle. 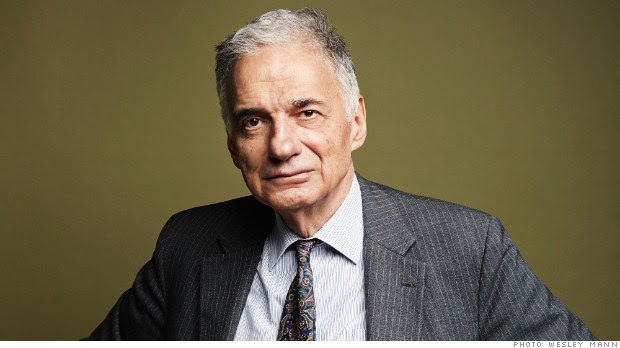 “A pittance invested here will go a long way toward promoting more lawful corporate behavior and the critical public support the Department of Justice needs for adequate enforcement budgets and stronger laws,” Nader and his colleagues wrote. The Corporate Crime Database Act (H.R. 6545 in 111th Congress, H.R. 323 in 112th Congress) was introduced in 2010 to require the Department of Justice to establish and maintain such a database, and to make it available to the public via the Internet. “More than one-third of a century has elapsed since the Department of Justice issued a thorough analysis of corporate crime in America (Illegal Corporate Behavior, October 1979),” they wrote. “We are well into the 21st century, and non-governmental unofficial databases on corporate crime have been created to partially fill the void. The letter also calls on the Department to issue an annual report on corporate crime. “At a minimum, the report should provide an estimate of the total annual cost of corporate crime in the United States,” they wrote.